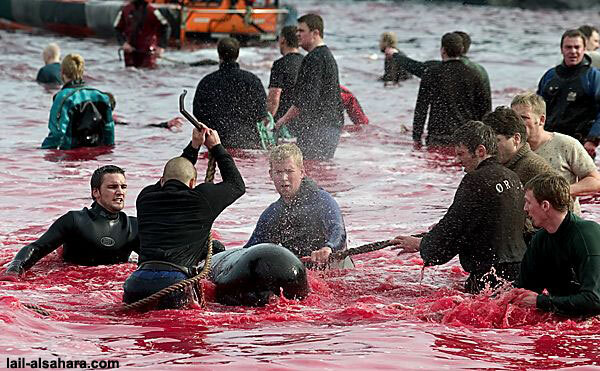 As outsiders, many of us would often find African tribal practice of inflicting pain onto ourselves to prove boys are ready for manhood disturbing; yet the practice of killing defenseless dolphins in Denmark by boys as a bravado act into manhood appalling and beyond comprehension. 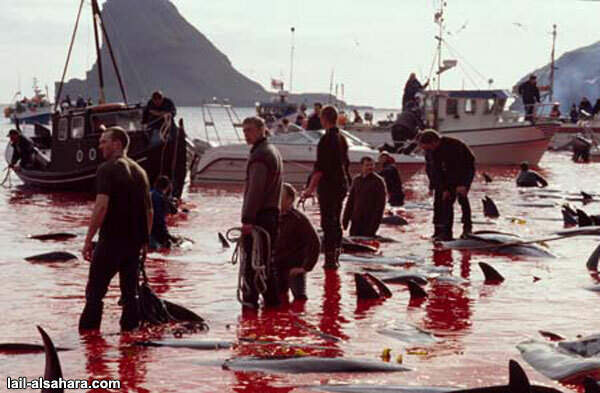 When I received an email from a friend that shares with the international community the grotesque ignorance and needless cruelty to dolphins in Denmark, my mouth hung opened, my brows frowned, and my head shaking back and forth at learning of yet another act of violence committed against defenseless animals. 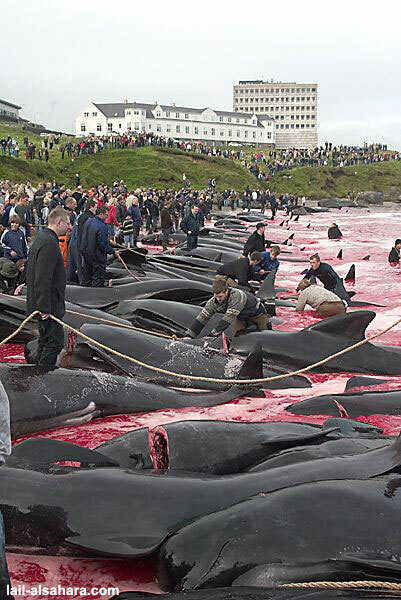 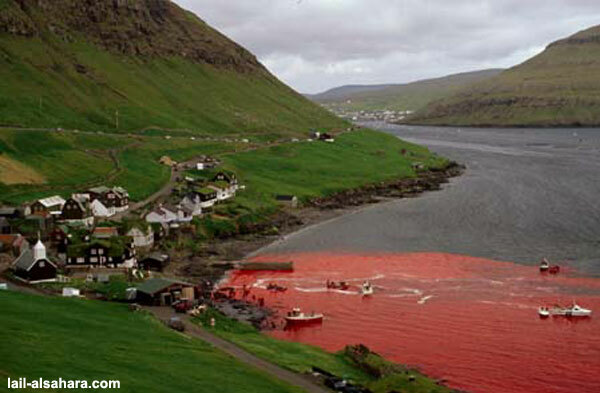 Every year in Feroe Island in Denmark, the sea is stained blood-red because hundreds of famous and intelligent Calderon dolphins are killed. 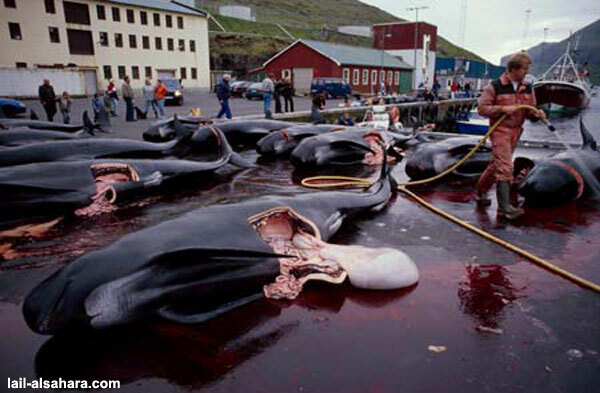 This slaughter is performed by young teenage boys to prove they are mature and ready for manhood. 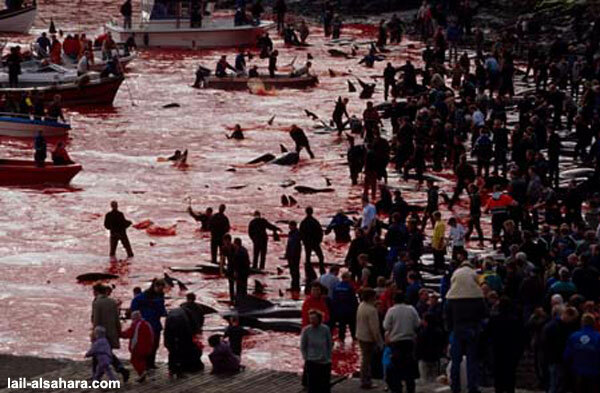 It's necessary to mention the Calderon dolphins are near extinction and the reason it's possible for these "men" to capture them so easily is because they come close to humans to interact and play to extend their friendship.